ABC Commercial is launching TV specials from the leading US pre-school brand, Sesame Street, on iTunes under its ABC for Kids banner. 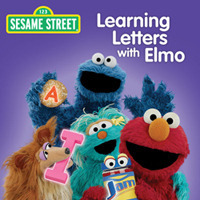 The first three specials to launch this July will be Elmo’s Music Magic, Elmo’s Shape Adventure, and Learning Letters with Elmo (50 minutes duration each). To discover more than 50 of your favourite children’s TV programs go to iTunes.com.au/abcforkids. ABC Digital licenses content to digital platforms, both domestic and international, and has the largest digital rights-cleared catalogue in Australia. ABC Digital is renowned for technical leadership, having built its own digital management system enabling the delivery of video files and associate metadata in any format for mobiles, digital screens, tablets, PC Platforms and IPTV. ABC Digital has strong relationships with key industry players including digital retailers, content portals and all major telcos.